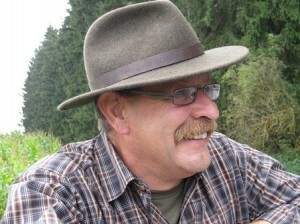 As a professional soldier, Bernd moved to Mittenwald, where he successfully passed his Army Mountain guide exam. Afterward, he worked as a professional hunter in a reserve in Dischingen for many years and became a hunting instructor at the Bavarian state school. Eventually, he started educating young hunters independently, passing on his experience and knowledge of hunting by opening his own hunting school. To this day, he has been successfully training hunters for more than 22 years. Tina successfully completed her business administration studies and worked in a bank for some years. She then left to work on a big cattle farm in Canada, from where she went to South Africa to complete her training as a ranger (FGASA Nature Guide L1). 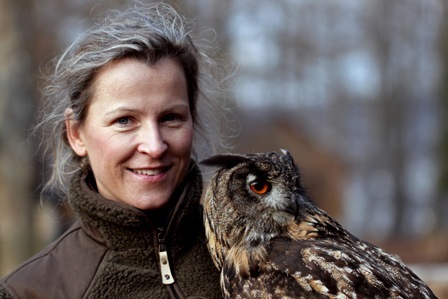 Back in the Swabian Alb, she had the opportunity to do an internship with a falconer. This encouraged her to complete her hunting education and training as falconer.